Student loans are a necessity for many students seeking a higher education. The rising cost of higher education has led to over a million students graduating with debt. The clock starts ticking for these graduates as soon as they walk across the stage. They need to find gainful employment before their monthly student loan repayments begin or else face repaying your loan without a job. Sometimes that can be difficult and payments may become a monthly burden. College Ave Student Loans is a company founded in 2015 by ex-Sallie Mae executives for the purpose of creating a better loan process. One particular goal is helping students save money on student loan repayments by refinancing existing loans. College Ave also is one of our top private student loan lenders. 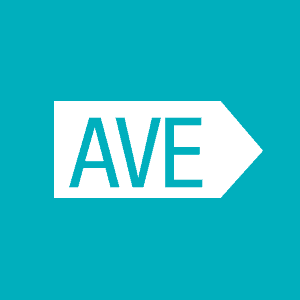 See how College Ave compares here. College Ave Student Loans are on the Credible platform. You can quickly compare and see if they are the best in 2 minutes or less. As a bonus, College Investor readers can get up to $1,000 if they refinance with Credible. Let's dive into our College Ave review. College Ave offers both fixed and variable rates, a 2 year interest only option, and a flexible choice of term so you can really manage your payment. Also, their variable rates have the potential to be very affordable, with the low range of the spectrum as low as 3.94%. These rates are current as of November 2018. College Ave also offers three flexible repayment schedules at 5 and 15 years. The shorter repayment terms mean less money put towards interest but higher monthly payments. There are no origination fees or early repayment fees. Remember, before you look at any rates, make sure you compare College Ave with other lenders. Using Credible, you can compare up to 8 lenders to make sure you get the best rate possible, including College Ave. Plus, College Investor readers get a $200 bonus when they refinance with Credible. Check it out here. Full principal and interest repayment – You can start paying back your loan right away while you are still in school. This option requires you to pay the most while you are still taking classes but it also allows you to save the most overall and you pay the least in interest. Interest only payment – This allows you to pay less while you are still in school by only handling the interest payments every month. You don’t have a large payment to make while you are taking classes but you are still cutting down on the interest you’ll have to pay over time. Flat payment – Pay just a small flat rate while you are still in school. You pay more in interest over time but you don’t have a large payment to make while you are focused on school. Deferred payment – This allows you to pay nothing while you are in school but requires the highest cost overall. See how College Ave Private student loans compare here. College Ave Refinance isn’t simply a consolidation company. When consolidating, you take several existing loans and combine them into one for lower monthly payments and, in some cases, lower interest rates. However, with College Ave, you can refinance a single loan to get better terms or lower rates. You can even refinance a loan as low as $5,000 and as much as $250,000. That's what puts College Ave on our list of the Best Places To Refinance Your Student Loans. College Ave offers some unique student loan products and viable refinancing option. The company is a solid lender to who just recently started offering both fixed rate and variable rate student loans. Make sure you compare them using Credible to other lenders before making a decision. Don't forget, College Investor readers get up to a $1,000 bonus when they refinance with Credible. Check it out here. Make sure you check out our Student Loan Refinancing Tool to compare all of the different student loan lenders. Yes, you can combine both a parent PLUS loan and regular student loan. If you’re thinking of a private loan, it doesn’t matter. If you’re thinking of consolidating them with a Federal loan, it is a big problem and you shouldn’t do it: The Problem With Consolidation of PLUS Loans.